Every stonemason, bricklayer or concreter needs a reliable saw in their arsenal of equipment. And here at Canberra Diamond Blade, we are proud to be the brick saw blade suppliers trusted by tradies throughout Australia. Our range of products are known for their exceptional quality and competitive prices. This makes it easier than ever for you to find what you need without breaking your budget. Browse our catalogue today to see for yourself the benefit of shopping our online store. Whether you know exactly the type of brick saw blade you want, or if you simply want to scout your different options, we are the best place to shop. Our friendly team are always on hand to help you choose the right product from within our range. Simply give us a call on 02 6242 8996 for more information on our catalogue. 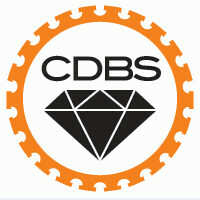 When you shop with Canberra Diamond Blade, you can enjoy fast shipping to your door anywhere in Australia. On top of this, when you spend $200 – or $100 for customers in the local ACT area – shipping is absolutely free! Order your brick saw blades today to see why so many trades professionals throughout the country choose to shop with us.